It is, after all, about the coffee. Great coffee! Our coffees are as unique as you are. 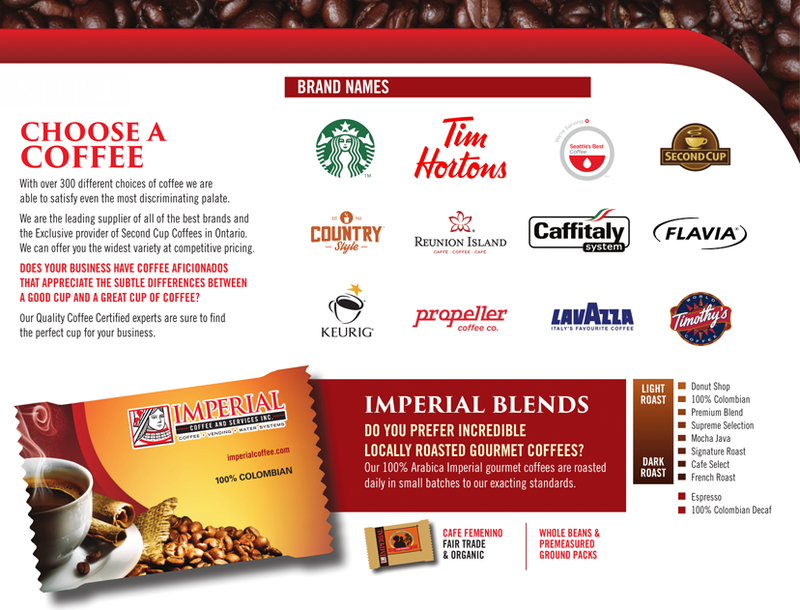 We source only the very best quality beans, roasted locally in small batches, for all of our Imperial branded coffee. 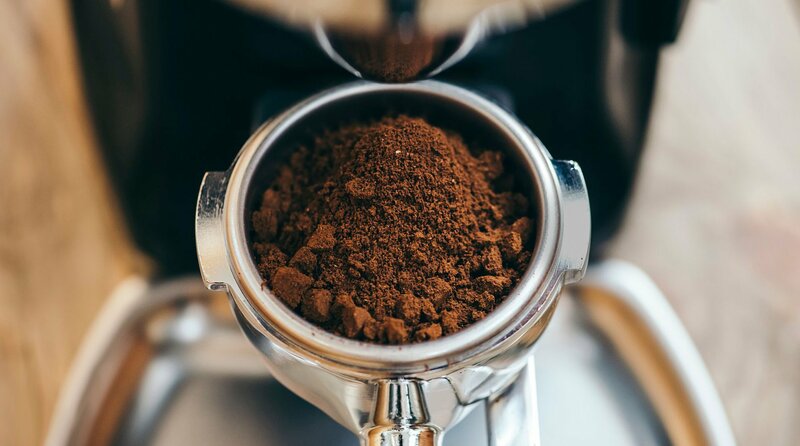 With roasts from light to very dark and our absolutely amazing espresso, we have a taste profile that will please even the most discriminating palate. Brand names? We carry Starbucks, Seattle’s Best, Second Cup, Reunion Island, Tim Horton, Country Style, Timothy’s, Green Mountain, Lavazza, Illy, Peets, SegaFredo, and Alterra Coffee Roasters. If you would like something truly unique, why not try one of our fantastic local craft coffees from Balzac’s, JJ Bean, Propeller or Alternative Grounds. We get it. Great tea should be part of your beverage program. We have a wide selection of teas that are sure to appeal to even the most discriminating tea lover. Whether your tastes lie in simple orange pekoe or in the highest end loose leaf teas or herbals, we have it in the bag. Sometimes you just need a hot chocolate or a soup. We can put a smile on your face with selections that can be used with our brewers. Let us bring your favourite coffee and drinks to you and your co-workers. We will host a coffee party and leave behind a brewer for you to use on your own time. There is no obligation. All we ask is for some honest feedback. Would You Like To Be Contacted For A Coffee Taste Test Party?